Category: Books, Conspiracy Theories & Alternative History Tags: Erich von Däniken, Extraterrestrial Contact, Photographs, Theories, UFO, Visual Evidence. Amazing Evidence of Extraterrestrial Contact. Why do flying machines and astronauts appear in the artworks and sacred texts of all ancient cultures? What is the meaning of the immense earth drawings, impossible to view from the ground, that can be found all over the globe? How could prehistoric cultures have engraved diorite and other hard rock with such incredible precision without the use of modern tools? 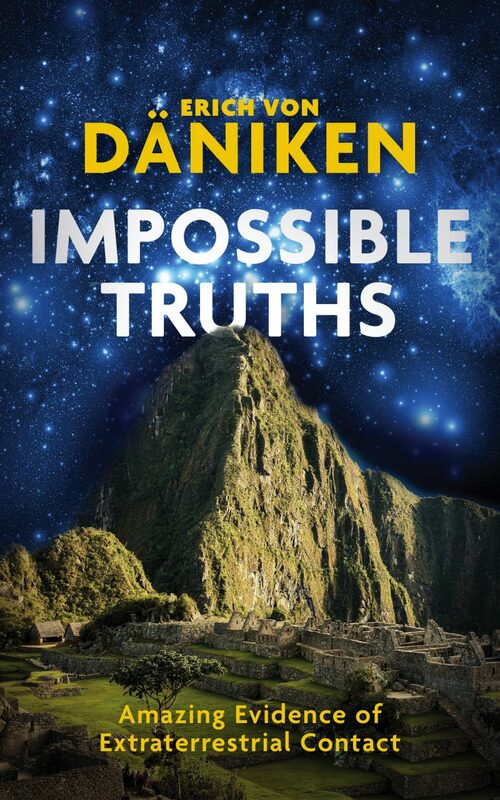 In this mind-bending new book, Erich von Däniken draws on his latest research to update his astounding theory that the inhabitants of other planets have kept in contact with humankind since the earliest times. • Assess for yourself the stunning visual evidence presented in some 200 photographs. • Examine previously unpublished testimony from expert informants. • Discover new research undertaken by von Däniken after the opening up of previously inaccessible regions, such as the jungle city “Buritaca 200” in Colombia.